In my previous article I had emphasised the critically important role that science, technology and innovation now play in the process of socio-economic development. Natural resources have diminishing importance since it is the quality and particularly the creativity associated with the human capital that now determines the strengths of national economies. That is why fast developing countries are cutting their budgets in other sectors and diverting them to education and science to promote innovation so that they can face the challenges of this new world. That is also why a tiny country such as Singapore with zero natural resources and a population of one-fourth of Karachi has exports 20 times those of Pakistan. This has been achieved through massive investments in education and high technology industry. The budget of the National University of Singapore alone is several times the budgets of all the 160 Universities of Pakistan lumped together. It is the top ranked university of Asia, and was ranked 12th in the world in the QS World University Ranking of 2015. Research and innovation are the backbone of the multibillion dollar industries of today. One good example is that of Nokia based in Finland, a small country with a population of just four million. The Finland government decided to develop the telecommunication sector and facilitated the development of Nokia. As a result, sales of Nokia exceeded $45 billion in the year 2010, more than double the total exports of the whole of Pakistan. Samsung then emerged as a major giant in this sector, largely driven forward by its huge R&D budget of about $15 billion, compared to only $8 billion of Apple. The result is that Samsung is now the world leader in the smartphone market. There is, therefore, a direct relationship between R&D spending and economic growth. This applies as much to countries as it does to individual companies. Malaysia for instance spends about 30 percent of its budget on education and has been doing so for the last 30 years. The result is that 86.5 percent of the total high technology exports from the Islamic world (comprising 57 countries) come from Malaysia alone. A good indication of the state of science in each country is the number of patents filed by local scientists/scientific institutions and companies. The Islamic Republic of Iran has about 6,000 patents filed each year by local residents as compared to only a couple of hundred from Pakistan. In this new world order, truth has indeed become stranger than fiction. How science is transforming the landscape of the industrial sector is illustrated by the following examples. Scientists have developed some special ‘metamaterials’ that can make objects invisible. Both light and sound are waves and, at the sub-atomic level, even matter has wave character. These metamaterials derive their amazing characteristics of being able to bend light waves away from an object because of their size and shape. The waves of light thus go around the object, like a stream of water going around a rock, and then meet again behind it, making the object completely invisible. These researches have many defence applications. Indeed about 50 percent of all research in the US is funded by US defence agencies (Nasa, ONR, US Air Force etc.). We may be at the beginning of a new era in which electricity may not require wires, and electronic devices may be operated without plugging them into wall sockets. Prof Marin Soljacic at MIT has made this discovery, based on the principle of transfer of energy between two magnetic coils having the same frequency. The first coil that is emitting the energy is contained in a box embedded in a wall, and is connected to the home’s electricity mains which supplies the power. The second ‘recipient coil’ is attached to the electronic devices such as television, laptop computer etc. The frequency of the two coils is matched which allows the transfer of energy from the first ‘supplier coil’ in the wall to the second one on the device being used. The technology is perfectly safe and a US company WiTricity has demonstrated that it is possible to transport electricity wirelessly through the air, so that a light bulb can be switched on or a computer operated without any wiring or batteries. The first human genome to be fully sequenced cost about $60 million and was completed in May 2006 after 13 years of effort. Now with the latest equipment such as that installed at the Jamil-ur-Rahman Centre for Genomics Research, which is a part of the International Centre for Chemical and Biological Sciences at Karachi University, an entire human genome can be sequenced in about 10 days at a cost of less than $5,000. This centre, named after my father, was established years ago through my personal donation. Sequencing machines are now under development which may be able to do it in days for under a thousand dollars. A simpler form of genetic analysis, which can cost only a few hundred dollars, provides information about defects in a person’s DNA; this can help us take precautionary measures before the disease actually occurs. It is now possible to produce millions of plants commercially without using seeds. A plant bud is divided into small pieces and placed in a test tube in a chemical medium containing nutrients and growth hormones. After about 6-8 weeks shoots start to develop. Once the roots have been formed, the plant is transferred to a green house. Plants with certain desirable properties, for example colour of flowers, size or taste of fruits etc, can be thus multiplied. The procedure works well in the manufacture of orchids, bananas and many other plants and is cost effective because of mass production of plants with desirable traits. These are just a few of the advances that are transforming world economies. Each day brings a thousand discoveries, and those institutions and countries that are investing massively in science and innovation make billions of dollars from such investments. The world has been divided into those that have high technology and sell it with huge profits, and the poorer countries that stand with a begging bowl. Pakistan unfortunately belongs to the latter group because of our constant past negligence of this vitally important sector. Fortunately we have a good Minister of Planning & Development, Engineer Ahsan Iqbal. The government should fully support his plans on science and education so that we too can develop a strong knowledge-based economy. In Austria their minister of science is also the minister of economic affairs and the deputy minister. In Korea they have elevated their three of their ministers – the ministers of education, science and finance – to the status of deputy prime ministers and given the highest national priority to education and science. We should do the same. 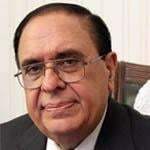 The writer is a former federal minister, former founding chairman of the HEC and presently president of the Network of Academies of Science of Islamic Countries.